Unprecedented acoustics in your home - without any restriction. Experience outstanding craftsmanship and breathtaking sound. A room adaption switch on the BeoLab 18 ensures that the speaker always sounds superior, regardless of where it is placed. A selection of lamella fronts, open institution Expert versatile possibilities. An acoustic work of art. BeoLab 18’s most striking visual feature is no doubt its lamella front, available in black and white composite as well as solid oak, maple or walnut. These lamella choices give decorators a range of options that all work beautifully with designer Torsten Valeur’s minimalist column of anodized aluminum. Look closely, and you’ll see that Valeur has tweaked the sculptural silhouette of its predecessor, the now-classic BeoLab 8000, in ways that push the boundaries of craftsmanship. A tribute to the design icon. 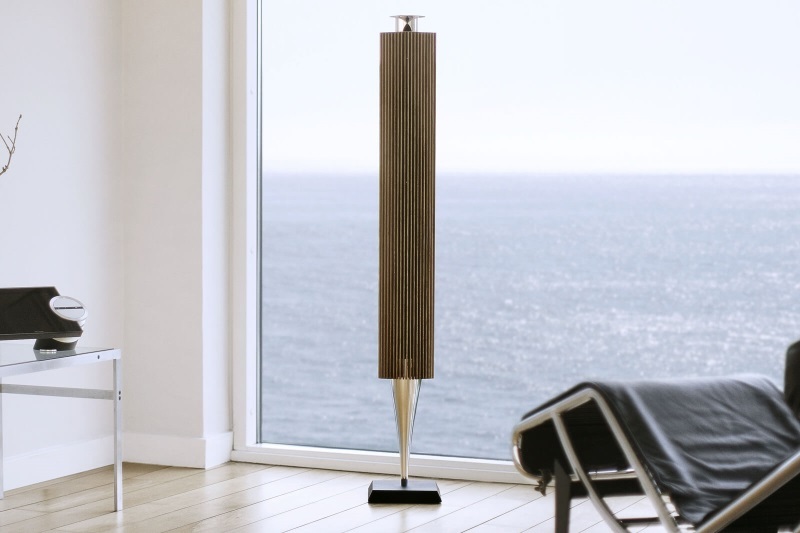 BeoLab 8000 is the most sought after speaker in Bang & Olufsen’s history. BeoLab 18 is a tribute to this iconic 1992 design. BeoLab 18 reaches into the future with all-new components, a re-engineered digital sound engine, an enticingly tweaked form factor and something as classic – and modern – as Nordic hardwood. The innovative new WiSA standard for high-end wireless is built in, so decorating with sublime sound has never been easier. Wireless audio just got serious – and now sounds seriously good. 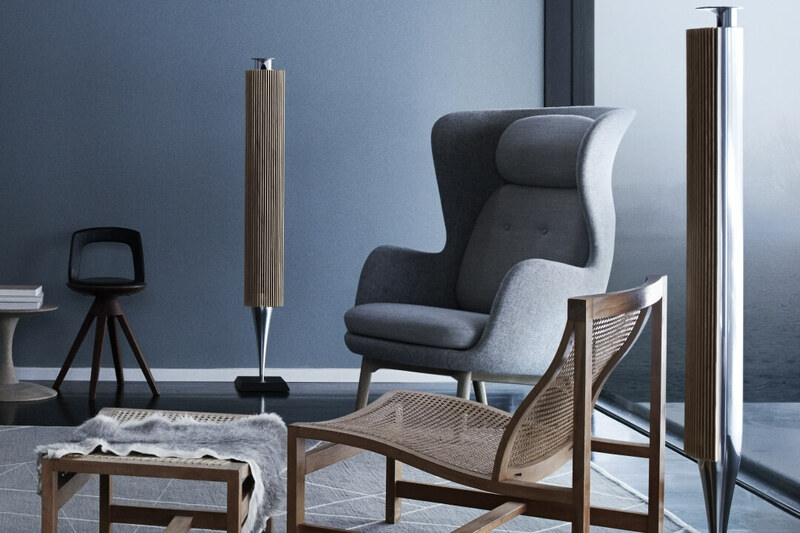 BeoLab 18 is the culmination of acoustic perfection, a heritage of authentic sound that has been Bang & Olufsen’s hallmark since 1925. BeoLab 18 is a timeless speaker for the enjoyment of future generations. The speaker is crafted from exquisite materials with uncompromising attention to detail. 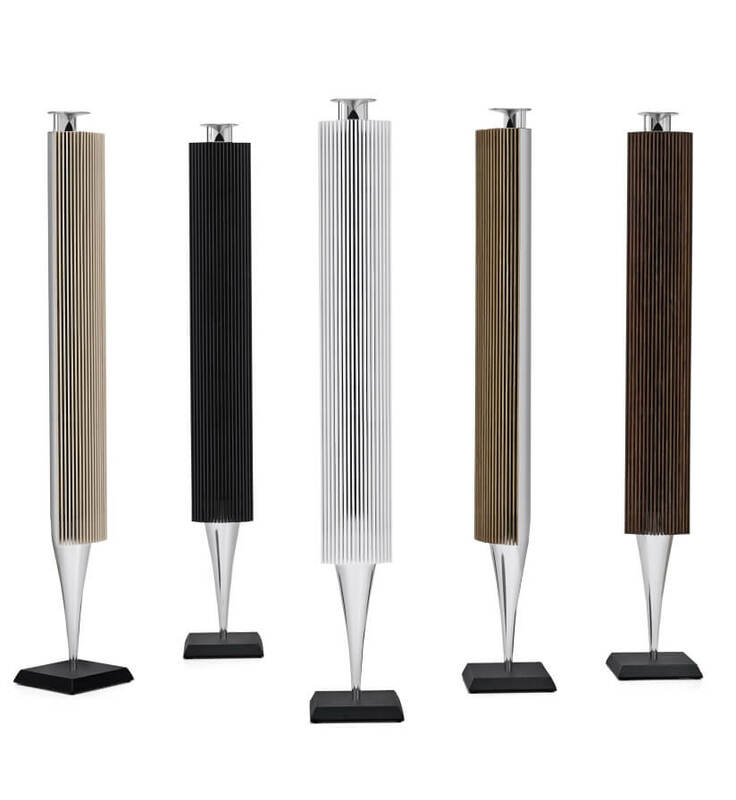 The speaker balances on a cone of extruded aluminium that seems barely to touch the floor – either when hanging on the wall or standing on the rock-solid cast iron base. Twenty-one lamellas wrap lightly around the speaker to open it to the eye as well as the ear. And with Bang & Olufsen’s distinctive acoustic lens tweeter floating above, the “sweet spot” is yours no matter where you are in the room. 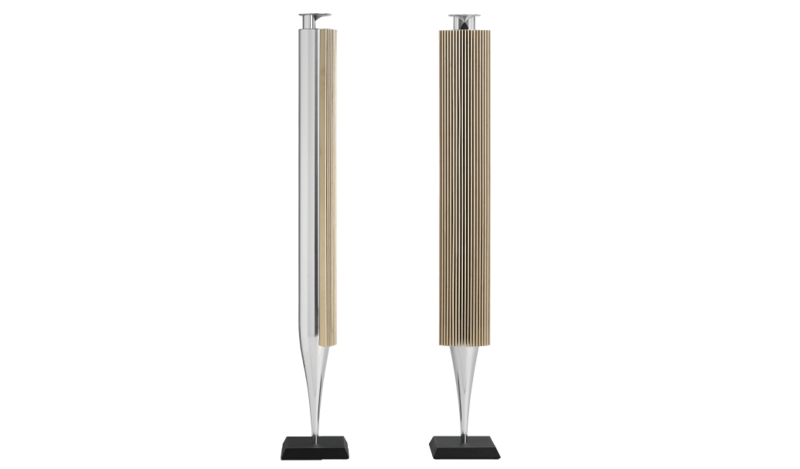 This form-follows-function design is what allows Bang & Olufsen to use lamella in front of the two main drivers and still produce crystal-clear high frequencies. 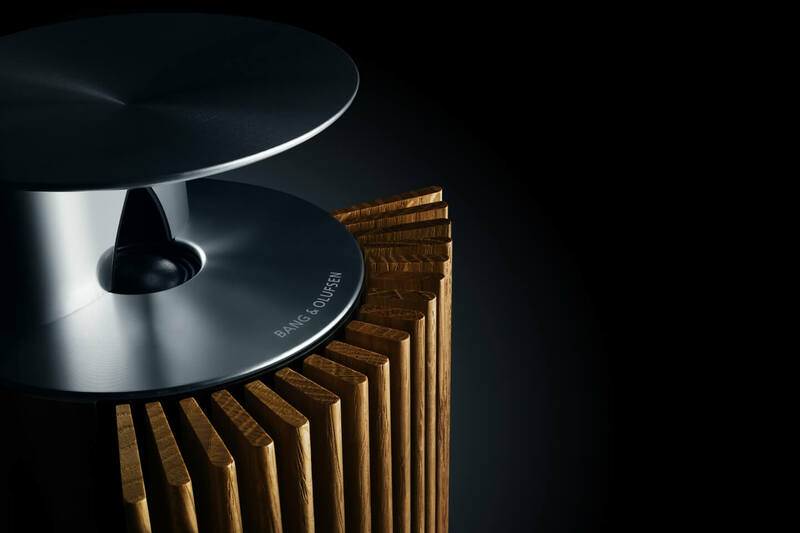 Combining wood and aluminium is clearly a hint at classic Bang & Olufsen design cues, while embracing the future with a major break-through in innovation through the new wireless technology. BeoLab 18 was driven by an unwavering vision for the highest and most exacting standards of craftsmanship and engineering. 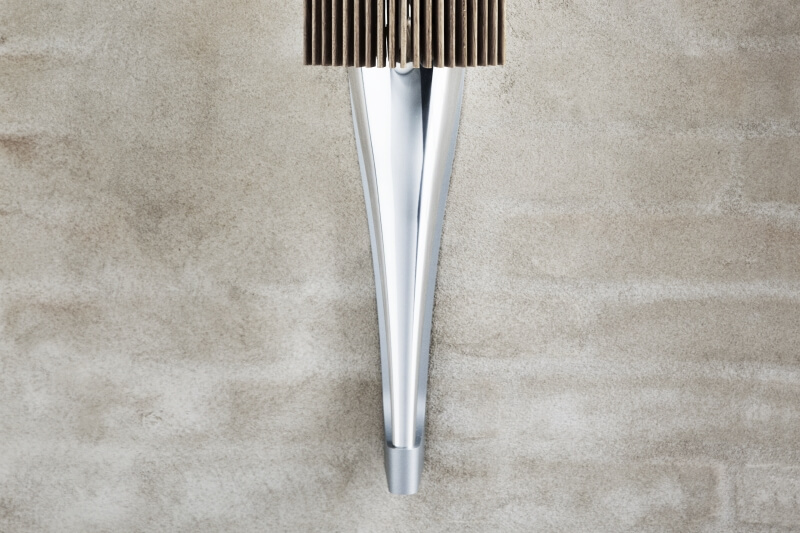 The conical base of BeoLab 18 is manufactured with the highest meticulousness of an aluminum tube. By careful polishing and hardening the surface using electrical and chemical processes the Bang & Olufsen specialists achieve a distinctive glaze. 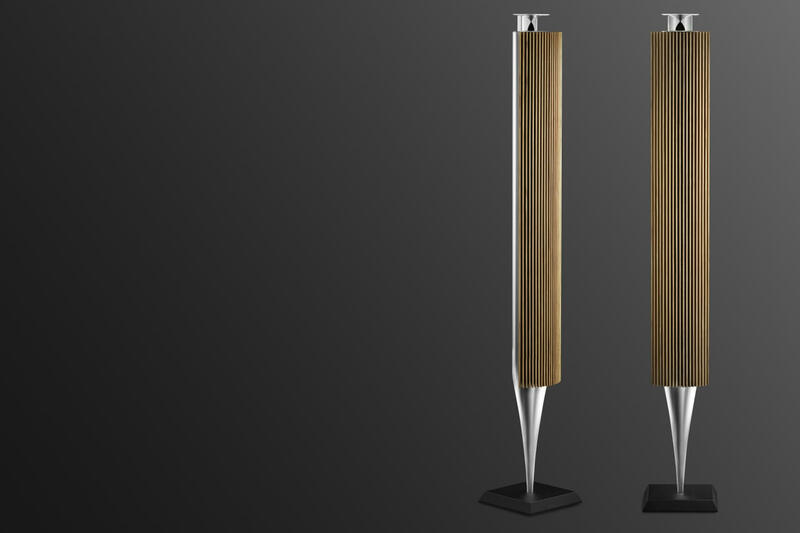 BeoLab 18 is based on the new Immaculate wireless sound concept from Bang & Olufsen. Sound that is reproduced as the artist intended it to be has long been a Bang & Olufsen hallmark. With Immaculate Wireless sound, Bang & Olufsen brings this tradition of acoustic authenticity into the wireless age for the first time ever. Since BeoLab 18 runs on the new WiSA standard, all you need to do is plug the active speakers into the mains in a room with any WiSA-compliant transmitter in order to link wirelessly to your TV, Blu-ray player or set-top box. The wireless multi-channel solution from Bang & Olufsen convinced by uninterrupted and undisturbed sound reproduction, as well as by a flexible and easy operation. Audiophiles can enjoy their uncompressed 24-bit music recordings now also go wireless and installers and interior designers can set up sound systems in cinema quality without any tangling now. 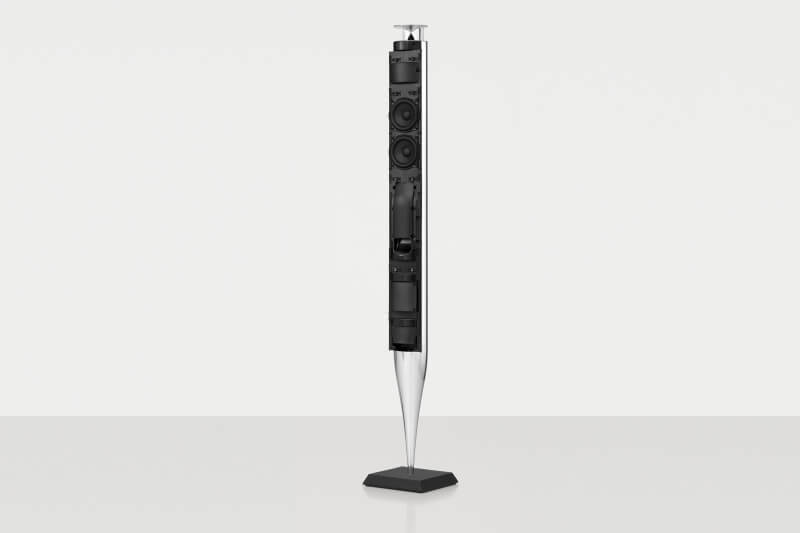 The sleek lines of BeoLab 18 can not imagine what impressive range on specially developed fully digital components is integrated to elicit superb sound out the modest volume. With Bang & Olufsen’s distinctive acoustic lens tweeter floating above, the “sweet spot” is yours no matter where you are located in the room. Two custom-made 4-inch midrange/woofer drivers run in parallel and are powered by separate 160-watt class D amplifiers. The digital sound engine is custom-tuned to deliver convincing performance that brilliantly overcomes the complexities presented by placing the lamella in front of the two main drivers. The all-new DSE also comprises thermal protection, Adaptive Bass Linearisation and a room adaption switch which ensures that BeoLab 18 sounds amazing - no matter what you play on it or where you place it. Experience BeoLab 18 in your home. Don't miss a manufacturer's campaign or other advertisings where the price is reduced for a limited time. We will inform you automatically if your desired price for BeoLab18 is reached or we have another suitable offer for you.